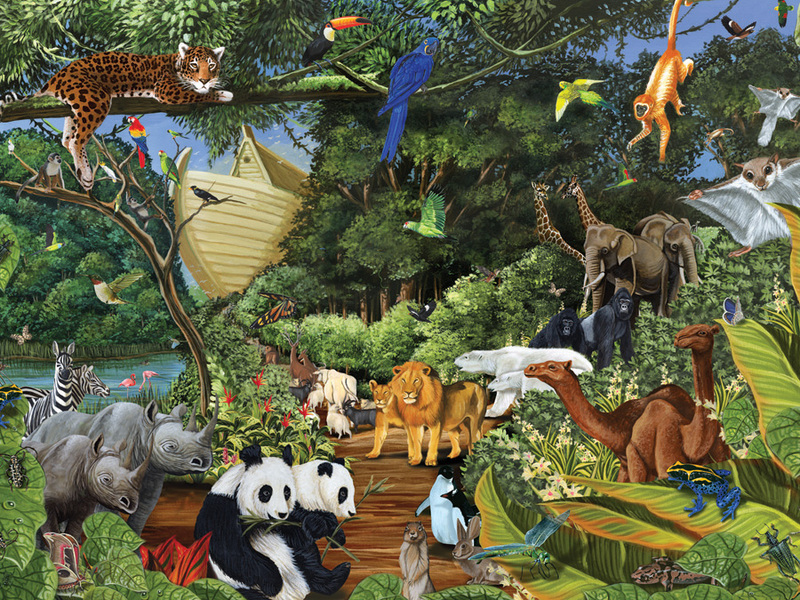 Noah's Gathering calls for all cute and cuddly animals to board Noah's Ark! A perfect Sunday afternoon puzzle for the whole family to enjoy. This Family Puzzle includes 350 various sized pieces. The large pieces, perfect for kids, are on one side. The medium pieces are in the middle and small pieces are on the other end. This ensures that both little and adult hands can easily grasp the pieces and puzzle together. Item # 54613 Weight 1.46 lbs.